He grew up in Southern California with two younger brothers and a huge desire to play baseball. Focusing on school and baseball from the age of 5 he eventually found himself playing for Hall of Fame Outfielder Tony Gwynn at San Diego State University. With only one year of playing Division 1 baseball under his belt, a horrific injury during an intrasquad game set him back a year in the process of reaching his professional dreams. Ady, as he likes to put it, “doubled down” on business classes, rebuilt his body from losing 20+ pounds and focused on schoolwork despite a wired jaw and extreme fatigue from painkillers. He rose above it all. Tyler returned to his teammates to finish off an incredible collegiate career that included accolades as an Academic All-American and nominee for the prestigious Golden Spikes Award given to the best college baseball player in the nation. He negotiated his own contract and signed with the Los Angeles Dodgers in the 32nd round of the 2017 MLB Amateur Draft. After hitting .300 in his rookie campaign he did what a lot of aspiring big leaguers would say was completely crazy. He retired. He stopped the train before it got rolling. He decided it was more important to him to help athletes rather than be one. Tyler took his signing bonus and started a hedge fund management company with a friend and is on his way to making an impact on the lives of many young professional athletes and helping everyday people manage their finances. I was allowed the opportunity to coach Tyler as a Senior at Mater Dei High School in Orange County, CA the Fall before he graduated. He was a member of the 2012 Oakland Athletics Scout Team that I managed between 2008-2013. I remember I liked him from the first time I saw him go about his business. He was a quiet young player with a lot of determination to stand out in a pool of talented collegiate and professional prospects. He embodied what every coach wants out of his players. He had the ability, the aptitude, and the attitude to make adjustments when needed and correct mechanical flaws quickly. I especially liked his hustle and his willingness to ask for help. He seemed comfortable in uncomfortable situations. I was shocked to hear that not one college coach had him on their radar as he approached his senior year. As you will hear in this episode that remained the case until the last minute of his Senior year summer when his life changed and his hard work paid off. Tyler is a great story and one I am proud to say I got to witness the beginning of. He is a true example of how never giving up and doubling down on your strengths can catapult your life to exactly where you want to be. She grew up a two-sport athlete competing against her younger brother and eventually choosing softball to compete at the college level. Hannah is the second Love the Game. Live the Dream guest that was raised in Nashville, TN. Born to a business owner father and a psychologist mother, Hannah found a calling that merges her upbringing and comes as no surprise. 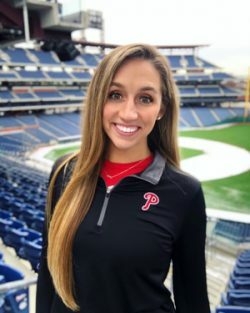 Listen to her passion as she tells us about the trending yet very important role of being a Mental Skills Coach for the Philadelphia Phillies organization. She talks about the job, the journey and the joy of working in this extremely rare position in sports. Since the recording of this episode, Hannah has married former New York Giant football player and current college coach Jacob Huesman. Congratulations to the newlyweds! Check out her Instagram show – #Mental Sweat Mondays! A quick 1-minute video of her tips on how and why it is important to check in with your mind as much as your body! The World Wide Web! Shocker! Yes…it was bound to happen. After scrolling through my Linked In feed I saw Mental Skills Coach Philadelphia Phillies pop up and thought..hmm. I introduced myself to Hannah and invited her to be on the show. She was eager to talk about her field of work and agreed to share all of its coolness with us. Another great example of how you really just have to ask for people’s help. They want to help and they are happy to do what they can to oblige when asked. I am very excited to have met Hannah and look forward to staying connected so that I can learn even more about this particular side of the game and the business of baseball. 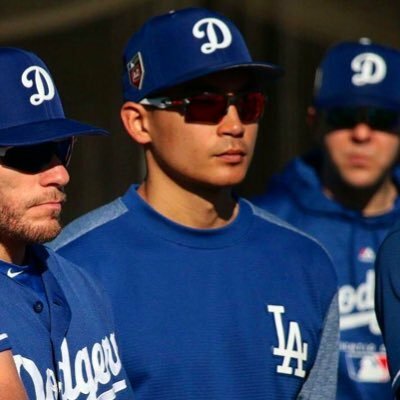 Born and raised in California Frank Marcos learned the game of baseball from his Dad and always wanted to be a part of it. When the playing was over and it was time for business Frank jumped in with both feet. He started out in Player Development and then segued into scouting. After a long stint with MLB’s Scouting Bureau Marcos found himself at the helm for almost 20 years. 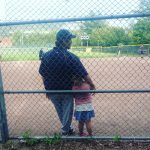 In this episode, Frank shares the journey of his life in baseball and some of the things that got him there and continue to keep him striving to learn more. I won’t get into the complete details of the first time I spoke with Frank as it is a bit emotional for me. Let me just say that within 5 minutes of meeting this man and telling him my situation. I was met with kindness, compassion, and empathy to say the least. It was 2010, and I was in Boca Chica, the Dominican Republic for MajorLeague Baseball’s Scout School. It is essential for me to tell you that you can’t sign up for this incredible learning experience like an online college course. The MLB Scouting Bureau puts this on once a year and only allows the 30 MLB organizations to sponsor 2 candidates. I was fortunate enough to get the Oakland A’s approval on the third attempt in as many years. The amount of joy I had when learning of my acceptance was immense. The issue I had was that I had to pay for it myself. I was happy to do so in theory. However, I was not pleased about the amount I needed to come up with on short notice. This is where when Frank heard about my situation he made sure that I did not let it interfere with my learning over the next two weeks and assured me that we could work out a payment plan to make it easier for me. WOW! I was floored. I was able to learn without the stress thanks to Franks understanding and trust in me. He had no reason to at all. He didn’t know me. It was all I needed to focus on the course and getting a job as a scout shortly after. Sometimes all people need is a little belief from another person and they can stay on their path to achieving any goal they set. I didn’t know why Frank was so generous and caring at that moment. We have kept in touch the past almost 10 years and speak on the phone pretty regularly. I now realize that is just the type of person he is. Born and raised in Knoxville, TN on a mission to make it to the Big Leagues. Chris Snyder talks about learning how to pitch at a young age after giving up on the dream to be a left-handed catcher. His journey from high school to Holland by way of JUCO, UT and the Atlanta Braves is a great story of determination mixed with the ups and downs of chasing your dream while discovering yourself. Upon retiring from baseball he decided to chase yet another dream of being an actor/writer in Hollywood. 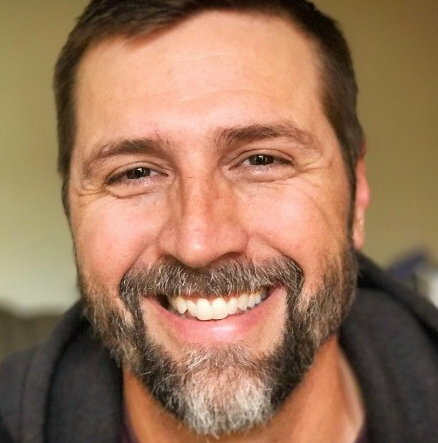 After 20 years of auditions, commercials, TV pilots and indie films he has discovered his passion for storytelling and photography while giving back to his community and returning to youth baseball. Chris lives in Santa Monica, CA with his wife and daughter and continues to pass on his experience and knowledge of the game to a group of 13u Big League dreamers. I was sitting in my office one day in between lessons when Chris came by looking to find a side gig while he was kicking off his acting career in Hollywood. I love helping out anyone looking to help others and especially kids. I knew right away he would have the personality needed to keep up with the summer camps we had planned that season. His baseball background was impressive and in all honesty, I was excited to have him on our team. We became friends and continued to work together and even played together for a bit while we still had some gas left in the tank. Schneeder, as I like to call him, and I became good friends and we have stayed close the past 18+ years. We traveled and coached in Italy together. Lived as single guys navigating through life in LA. Spent countless hours conversing about the world and everything in it. We both eventually found wives and it made our friendship stronger. Our daughters are 3 years apart and we share a ton of life experiences and philosophies that make it easy to stay connected. I am very thankful and grateful to have this talented dude and solid friend in my life. A Red Sox fan born in the heart of Yankeeville, Justin Volman is the CEO of the Collegiate Baseball Scouting Network. He is the oldest of two boys (brother Adam) to David and Melissa Volman from Fairfield County, CT just outside of NYC. A recent graduate of the University of Alabama this young, ambitious entrepreneur took his award-winning 2017 Aldag Business Plan concept into the real world to help high school and college baseball players get the recognition and exposure he feels a lot of them lack in the sport. Justin took the plan, some start-up capital, recruited a team of like-minded baseball enthusiasts and hit the ground running. He hired over 120 regional scouts in the first year. He has a full-time staff of managers in the scouting, analytics, content writing and social media divisions within the company. 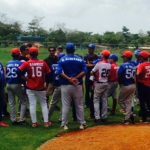 His plan to grow as the “go-to” scouting service for MLB teams, college coaches, and sports agents domestically will eventually expand internationally into Europe, Asia, Australia and Latin American countries. His five to ten-year plan involves creating future jobs for young budding scouts, baseball ops interns, analytical interns, writers and social media personnel for Minor and Major League organizations worldwide. Eventually, his vision is to branch off using the same model into soccer and basketball providing equally important information and analytics to those sports. Are you ready for this? He is only 22 years old. How he took an idea to solve a problem and turned it into a business. How sad he was the day Shea Hillenbrand was traded. His love for baseball analytics and helping others succeed. What his recipe for success has been so far. I have to credit a friend of mine Damon Mitchell for this one. Damon is a writer living in Mexico and stumbled upon a podcast that interviewed Justin about his company College Baseball Scouting Network. Now Damon is not a “baseball guy,” but he is a passionate listener and thoughtful human being, so he thought of me when he saw the opportunity for writing about baseball and passed on the info. I immediately listened to the interview on Fan Graphs‘ podcast Effectively Wild with Justin and Michael Bowman. I was so taken back by this 22 yr old young man that I couldn’t turn it off. I listened to his vision for his company and his desire to help other young aspiring baseball enthusiasts break into a challenging and highly competitive industry and was blown away. He was inspiring to say the least. Motivating and confident in every way. I had to meet this guy. I went straight to the website got his contact info and immediately sent him an email. I wasn’t quite sure what I had in mind, but I knew that this was one of those life opportunities knocking and I had to open the door to see who it was. I have made a habit of doing this over the years and quite honestly credit all my success and much of my failures to this practice. 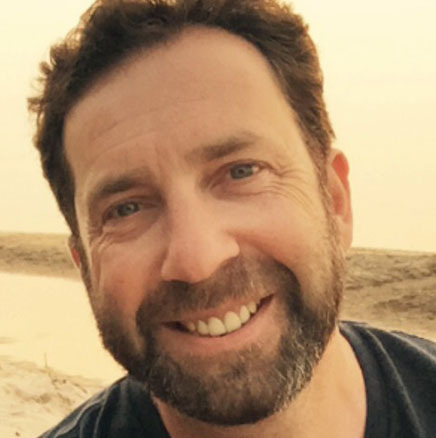 We spoke for a bit and agreed that I would come on board as a part-time scout here in BC, Canada and contributing writer under my new literary hero Editor in Chief, Lance Brozdowski. So far this has been a great relationship as I look forward to working more in-depth with Justin and his team on the expansion of the international scouting market and continuing to write articles for the opinion section of the site. Wake up aspiring baseball junkies! If you are looking to break into the biz, stop wasting time waiting for them to come to you. Get a hold of Justin NOW; they are hiring all across the board in every department for this season and next. Hopefully, someday our paths will cross, and I will see you at the yard! Born Carmen (no middle name) Bucci on March 29, 1973, in Chicago, IL he was the youngest child to Carmen and Gerri Bucci with two older sisters. Carmen grew up on the south side of Chicago in the 80’s playing baseball and defending his name on the playground. He was recruited nationally for baseball, which landed him a scholarship to Northwestern University. As a four year starter, Bucci was a two-time All-Big Ten Shortstop. He was drafted in 1995 by the San Diego Padres in the 28th round where he continued his athletic career for two years. Post Padre achievements include the operation of the West Coast Baseball School (Sherman Oaks, CA), former Scout with the Texas Rangers, and columnist with the Naperville Sun, writing about the ins & outs of college recruiting. As an educational speaker and veteran scout with NCSA Athletic Recruiting, Carmen Bucci educates prospective student-athletes on how to manage and maximize their collegiate recruiting potential. He also performed stand-up comedy around the country. Carmen is currently embarking on a rather challenging but determined mission to give thirty talks in thirty different states in thirty days starting April 2, 2018. His Positive Power of Negative Thinking platform focuses on the mental side of sports and the effects it has on young student-athletes. Carmen and I met in Sherman Oaks California around 2000. He was then the owner of West Coast Baseball School and partnered with our friends Glen Raasch and Daris Toussaint. I was working with part-time at both locations in Sherman Oaks and Burbank. I was looking to go full time and all in on the business as a partner myself when at the same time Carmen was recently married and looking to move to Florida. The opportunity was too perfect for me not to pass up. I bought the Sherman Oaks location from them and launched my way into the baseball business. Carmen and I remained friends and kept in contact regularly. One day he calls me up and says I can help you help your high school players get recruited for college. This was around 2004 at the time, and NCSA was just getting rolling. It wasn’t long after that Carmen started missing the West Coast weather and the beaches. He moved back to Los Angeles, and we connected again helping kids and families navigate the recruiting process. We have remained close friends ever since. It is my pleasure to introduce you to a guy that if he weren’t feeling wanderlust back then, I would not be here today writing and podcasting about how anyone with a passion and love for this game can most certainly make a living. Born William Owen Reid on September 15, 1986, in Moberly, Missouri he is known in the international baseball community as a baseball nomad. Upon graduating from Moberly High School in 2005, Owen received a scholarship to play at Baylor University. After one year he transferred and graduated from Winthrop University with a Bachelor of Arts degree in Mass Communication, Broadcasting. His strong desire to see the world and find a way to continue playing took him around the globe to places he longed to visit. Owen has visited 46 different countries in his young life thus far. 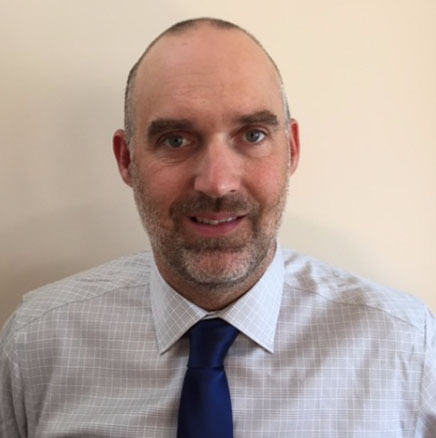 He has found an opportunity to provide significant professional experience in 7 countries (United States, Austria, New Zealand, Australia, Singapore, Indonesia, Saudi Arabia). He has coached at all levels, from grassroots programs to professional organizations in many of those along his journey. 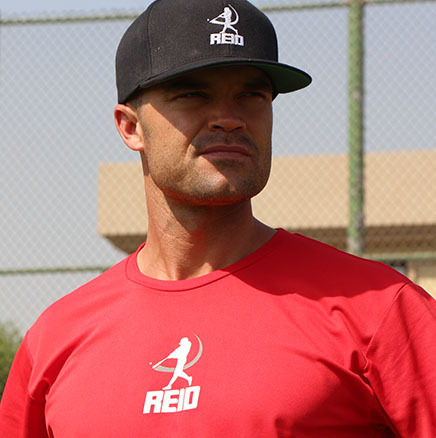 He spent time playing in Europe, Asia, and Australia before moving to the next phase of his baseball career as a certified strength and conditioning coach and expert baseball instructor with more than two decades of experience. 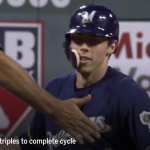 Owen currently provides sports instruction, coaching, and mentorship to individuals, teams, and coaches through his online business Reid Mobile Baseball Coaching. His international exposure spans to more than 40 countries on five continents. He currently lives in Singapore with his wife Hayley and spends most of his free time traveling and exploring. How chasing the sun can lead to seeing the world. That baseball has so much to offer anyone willing to stick with it. How learning new languages opens up your imagination and more. Owen and I have been virtual penpals since about early 2016. We met when he found my profile on LinkedIn while looking to hire professional baseball coaches for his academy in Southeast Asia. At the time he was the General Manager for the Hit Factory based in Singapore. We had several conversations that turned into interviews and eventually ended with me taking another job in Newfoundland. The timing was not right, and if I am honest, my wife and I were a little hesitant about moving even further away from our family with our then 4-year-old daughter. Owen understood entirely and we agreed to stay in touch. We kept in touch sharing what was happening in each other’s careers and life along the way. Fast forward to today and several Whats App and LinkedIn messages later he is now married and running his own baseball training company and still living in Singapore. Although we have never met in person, we have shared many conversations about coaching, training, traveling, living abroad and life in general. I am so happy that he decided to click on my profile. I look forward to the day we will meet in person, have a beer and continue talking more about loving the game and living the dream. I am confident it will feel like we have known each other forever. A native of Vernon, British Columbia, David took his first trip to Austria in 1999 to play baseball as an import player while in college. It was there where he fell in love with the European culture and people immediately. He married an Austrian woman and returned home to Canada. 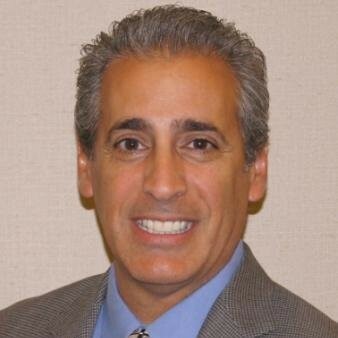 After graduating college and working a few years in the highly stressful financial industry, David left a successful career as a wealth advisor and returned to Austria to follow a passion for baseball and quench an entrepreneurial thirst. His love of sports landed him a new career as an Athletic Director and teacher at an American boarding school where he also coaches girls high school basketball and volleyball. In 2004 he found himself helping the baseball club he started with find imports to play for their organization. He discovered that the process was arduous, frustrating and time-consuming. There had to be a better way. He found the now popular Word Press website building platform and began to teach himself how to build a website to solve his problem. After riding the train to work every day thinking about how he could solve this problem that plagued the local baseball organization he founded International Baseball Community and the blog Baseball Jobs Overseas. 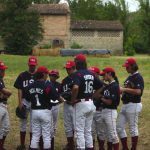 Since January 1st, 2013 he has helped over 700 baseball and softball players successfully sign contracts with organizations in over 23 countries in Europe, Australia, New Zealand and South Africa. How merely wanting to solve a problem can lead to a new career. Starting with the end in mind will help you get off the ground. How he has helped hundreds of players prolong their careers. David was the guy that helped me open my eyes to the number of baseball opportunities that lie outside of the good ole’ U.S of A. I was living in Costa Rica in 2014 after coaching the Costa Rican National team and scouting for MLB’s Scouting Bureau at the time. My wife, Colette and I were starting to feel the urge of looking for a new place to raise our daughter as she was approaching first grade. 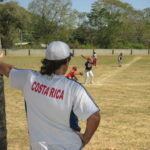 The opportunities for me to make a solid living in baseball were not in Costa Rica. I had to travel here and there to find short-term work as a coach and scout. As I do every October, I sat down and updated my resume and sent it out to all thirty MLB teams and anyone else I couple think of that might have a job for me. This was when I discovered David’s website International Baseball Community. I contacted him immediately and asked him about the site and if it would work for coaches too. He was very upfront and said right now it is more geared towards players however he would be open to see if the same concept could work for coaches. He asked if I would like to fill out a profile and see what happens. I did. I received offers from seven different organizations in seven different countries within two weeks. Most of them were not in a position to pay enough for me to support myself and family. A couple had made offers that would sufficiently support a small family, but I wasn’t about to move to China for a year. I did get an offer from a place I had never dreamed of seeing in Corner Brook, Newfoundland. I accepted, and after two seasons there I eventually landed here on Vancouver Island, BC. If it weren’t for David following his passion for helping others and his love of the game I would not be living the dream. 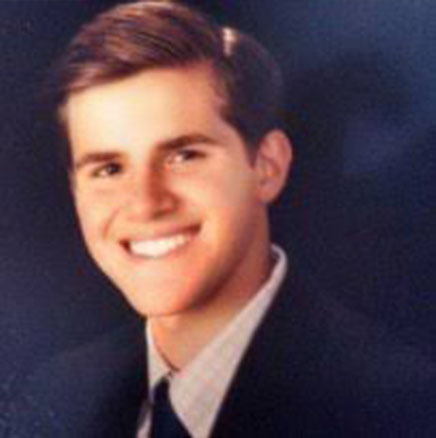 Born David Andrew Turgeon on May 15, 1965, and the youngest of seven children in the Turgeon family from New London, CT. He was drafted out of Davidson College in North Carolina in the 1987 MLB June Amateur Draft in the 22nd round by the New York Yankees. Dave went on to play thirteen seasons of professional baseball seven in the minors, and six in independent ball as a shortstop turned corner infielder. After age and injuries caught up with him, Dave knew it was time to turn the page and get started with his coaching career. His first stop was in the Cleveland Indians organization in 1999. Afer that he spent time in various college coaching roles with Boston College, UConn, Duke and Virginia Tech. 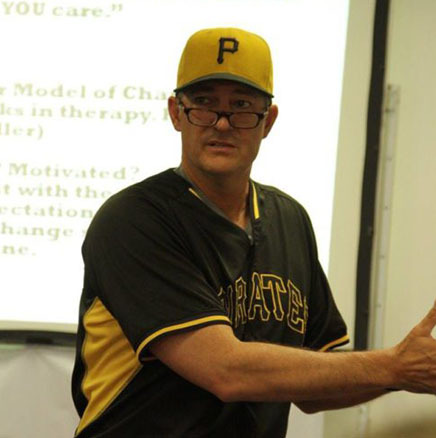 His passion for working with professional players steered his career to the Pittsburgh Pirates in 2010. Starting out again on the field Managing at the Rookie level and then eventually transitioning into Field Coordinator and his current role since 2015 as the Coaches Coordinator for the entire organization in Pirate City located in Bradenton, Florida. Culture is the way you and your team do things on a regular basis. The leadership of your organization or team will either lead to or stagnate growth. How coaching, a lot like parenting, will expose your true message through your actions. His most embarrassing moment as a professional coach. I am sitting in this small hotel banquet room of about 40 or 50 people having no idea what to expect in my first International Baseball meeting at the American Baseball Coaches Association Convention (ABCA). There was a short list of speakers and about 20 more people standing in the back of the room all waiting to get to the free drinks and snacks next door. I didn’t think that this was something that I would need to take notes. When I heard David speak about changing the world through baseball and creating a culture of individuals that show up to work every day and push each other to grow and get better. I had to reach for my notebook and pen. These events are significant for networking, and I knew after hearing his talk that I had to not only meet him in person, but I had to convince him to be on the podcast. His honesty and experiences throughout his baseball life moved me as a coach but more importantly as a person. I didn’t get a chance to meet him after the talk in the “adult beverage room” and thought I might have missed my opportunity to introduce myself. Low and behold fate would put us together in the same room again but in a different location the next night at another function. I lasered my focus and waited patiently for the opportunity to sidle up and get to know more about this guy and find out where is coming from. I would say that I bought him a drink but the drinks were free so I won’t. He was gracious enough to let me blab about me and my story that eventually got to the point of asking him to be a guest on the show. He was as humble and gracious as his energy led me to expect. We had a good laugh and swapped some baseball stories. I bought him another free drink, and he agreed to let me interview him when we got back to our homes. I am happy to have met Dave and hope to learn more from him in the future. Born Korwin Jay DeHaan July 1976 in Pella, IA, Kory was fortunate to move up the levels of baseball without too much hiccup. From Little League through high school, on to college until he was drafted in the 7th Round of the 1997 MLB Amateur Draft out of Morningside College in Sioux City, Iowa. He was acquired by the Padres in October 1999 in the Rule 5 Draft and therefore required to remain on the roster from the start of the 2000 season when he made his MLB debut in April of that year. As a 23 year rookie in the Big Leagues, he had accomplished his dream quicker than expected and was not going to take it for granted. As do a lot of guys in that situation will say; “it is always harder to stay there than it is to get there.” After a couple of trips back and forth from Triple-A to the Bigs, some performance frustration coupled with nagging injuries; DeHaan retired from playing in 2004. His life was baseball until the age of 28, and now he was faced with the next chapter. He tested the business owner path for about five years and then had to listen when baseball started calling again. It is a “calling,” and not everyone gets the call. 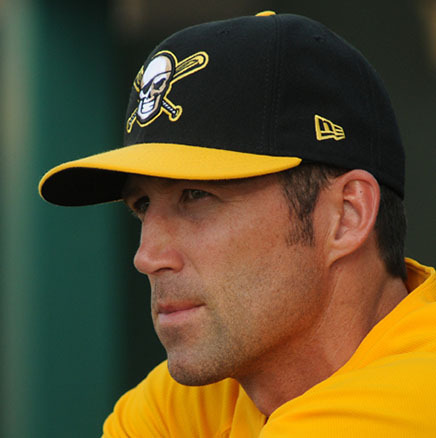 Kory answered quickly and got himself back into professional baseball as a coach. He is currently going into his seventh Spring Training with the team that drafted him 20 years ago. He is now a hitting coach for the Pittsburg’s Rookie-level players and residing just a few minutes away from Pirate City in Bradenton, FL. Kory is enjoying his life molding young professional hitters and spending time at home with his wife Rachel who teaches 2nd grade and their three daughters; Kendy (16), Reese (13) and Delaney (12). How quickly your path can change and the importance of following it. His most embarrassing moment as a Big Leaguer. How his parenting philosophy gels with his coaching strategies. Being the squeakiest wheel, you can be. OK, I realize it seems like everyone I have had on the podcast so far has been a friend from California. Part of the reason is that we are both on the west coast, so it is much easier to schedule the interview. Well, I am happy to say that meeting Kory at the ABCA convention last month was not only great pleasure in itself but refreshing and exciting to meet another baseball guy from my home state of Iowa. It was my first year attending the American Baseball Coaches Convention and boy I have to say I have been missing out. I was there to take it all in and meet some potential guests for the podcast as well as learn a few things in the coaching world from other guys with more experience than me. At the top of my list was to attend the breakout meeting for all international coaches and organizations. My love for the game on a world stage is always bursting. Kory and I met at the meeting but didn’t get a chance to talk until another an incredible opportunity came up the next evening at a meeting for PlayGlobal, a non-profit organization that teaches baseball in poverty-stricken countries. Tom Gillespie is one of the founders of Play Global and happens to also work for the Pittsburgh Pirates, so naturally, Kory was there in support of his friend and teammate. By the way, Tom is also from Iowa, but he is a Cyclone. So there you have it. A couple of libations, baseball, and the Hawkeye State is all it takes to start a conversation and build the foundation of friendships. I hope to stay in touch with these guys and who knows maybe even join the team someday. After all, We Are Family! Oh Man, I Love This Game!